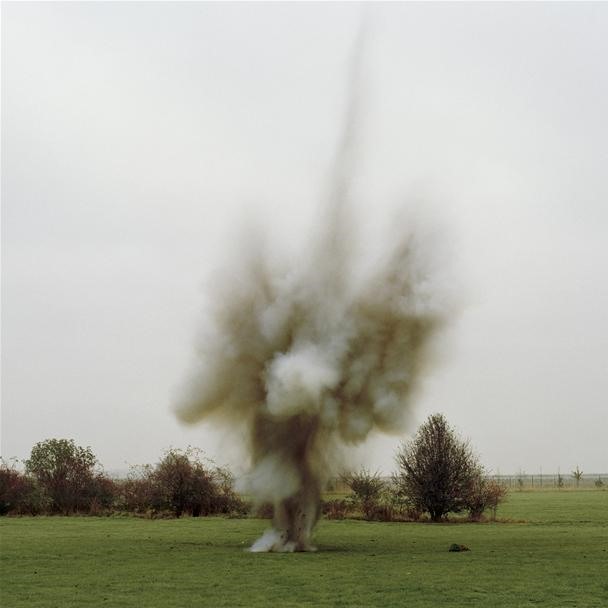 "Sarah Pickering identifies England's entry into the war in Iraq as the inspiration for her Explosion series. 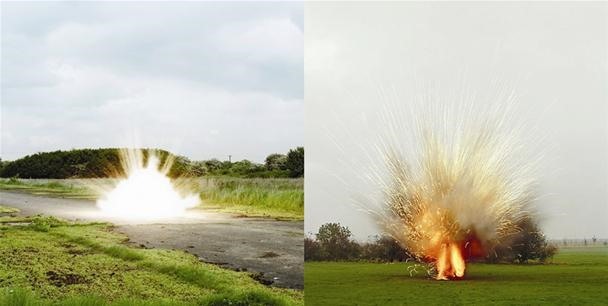 Pickering photographed the tactical use of controlled explosions used by the British military to add realistic stress to training exercises. 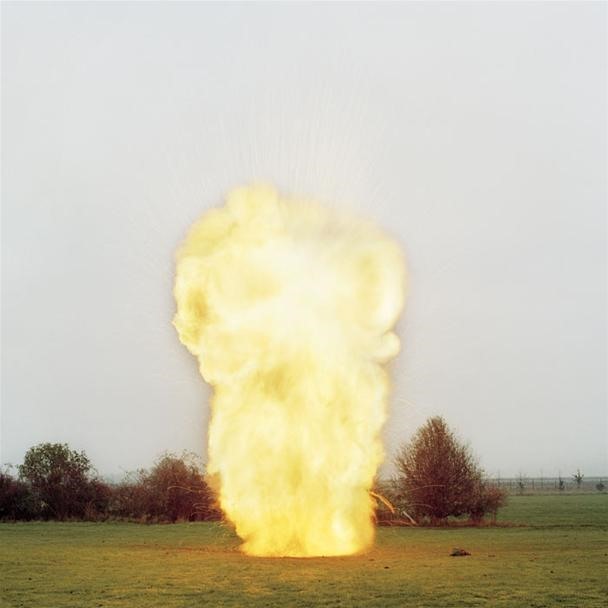 The images suggest the violence of combat while altering traditions of landscape photography reaffirming the 'power of the photograph to extract something and represent it as well.'" Check out her speech in the video below. What do you think? Does the art successfully convey the message?